Viknesh Vijayenthiran February 1, 2018 Comment Now! 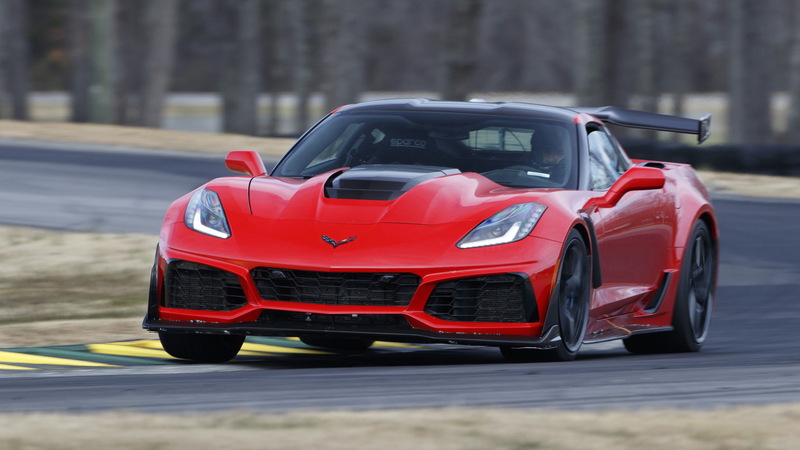 There's a new king of Virginia International Raceway, and it's the 2019 Chevrolet Corvette ZR1. It was only a few days ago we learned that Ford's halo, the $450,000, all-carbon fiber GT, set a lap record for production cars at VIR with a time of 2:38.62, beating the previous record of 2:40.02 set by the Dodge Viper ACR in 2015. The GT's time was set during diagnostic testing a few months back and doing the driving was Billy Johnson, who races the GT in the World Endurance Championship and helped Ford develop the supercar. 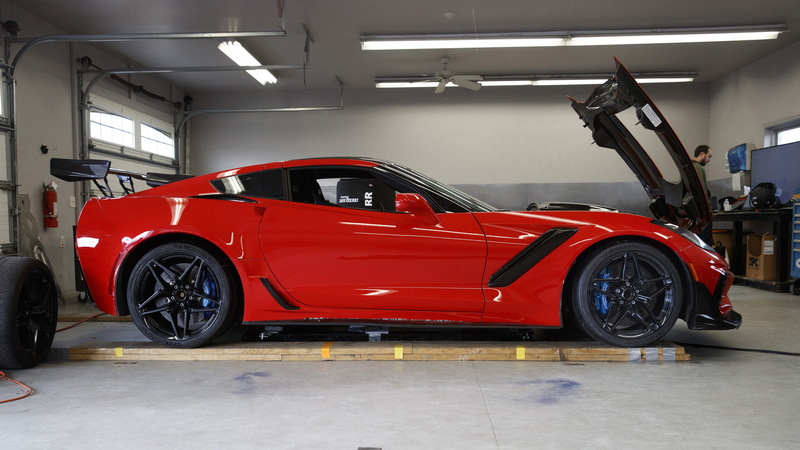 Well, Chevy on Wednesday revealed that its ZR1 destroyed the GT's time, with vehicle dynamics engineer Jim Mero having blasted around the track in a time of 2:37.25 during testing last month, as shown in the video. That's almost one and a half seconds quicker on a track that's 4.1 miles in length, in this case VIR's Grand Course West, a demanding track that's become a homegrown benchmark for performance not unlike the Nürburgring over in Germany. The time is made all the more impressive when you factor in the ZR1's less exotic aluminum construction and front-engine layout, and there's no ignoring its price tag that comes in at a quarter of the GT's sticker. Where the GT is really the underdog is in the power department. 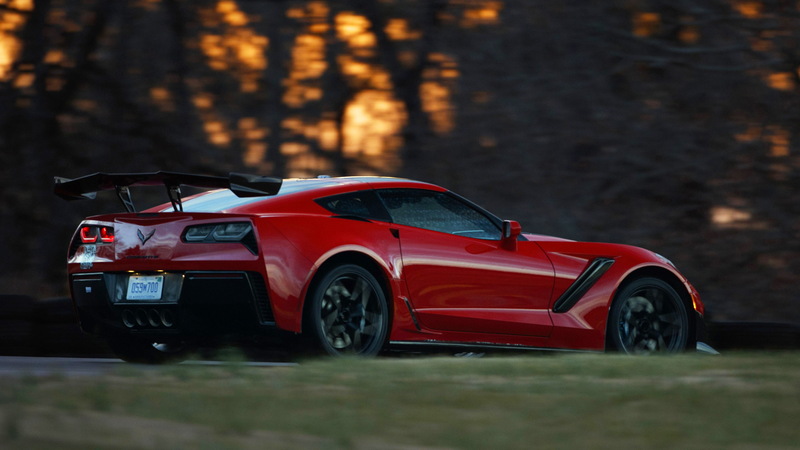 Thanks to a supercharged 6.2-liter V-8, the ZR1 delivers 755 hp and 715 pound-feet of torque. The GT on the other hand has a 3.5-liter twin-turbocharged V-6 with 647 hp and 550 lb-ft.
GM also boasts that its 8-speed automatic shifts quicker than a dual-clutch transmission, which the GT uses. The car Mero drove to the VIR record was fitted with the brilliant auto, as well as the ZR1's available ZTK Performance Package, which includes the front splitter, adjustable rear wing, Michelin Pilot Sport Cup 2 tires, and unique tuning for the magnetic shocks. All we can say is, Ford, you should have gone with a V-8. 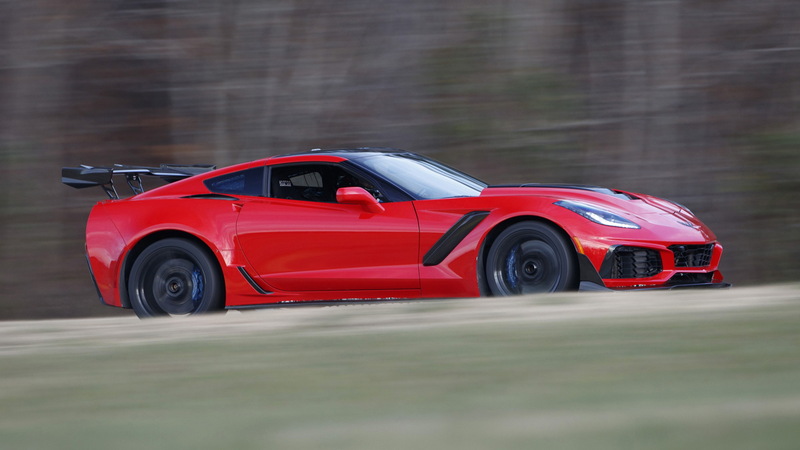 Now, if the front-engine Corvette is already this fast, we can only imagine what the presumably faster mid-engine Corvette will muster. Porsche and McLaren should be worried. Sadly, Ford has already backed out of the race.